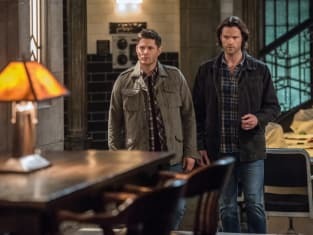 Supernatural Photos from "The British Invasion"
Looks like she’s still on the run, but Mick and the British Men of Letters appear to be tracking her down in addition to Sam and Dean. 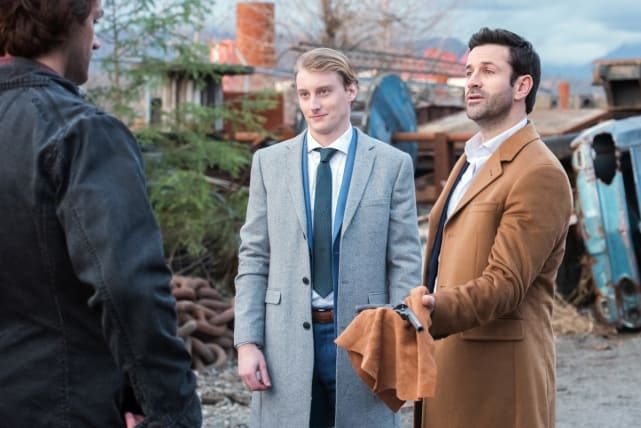 According to these pictures from Supernatural Season 12 Episode 17, the Winchesters have gained a new ally, are facing off with a Prince of Hell, and are working with Mick again? It looks like a lot is about to go down. 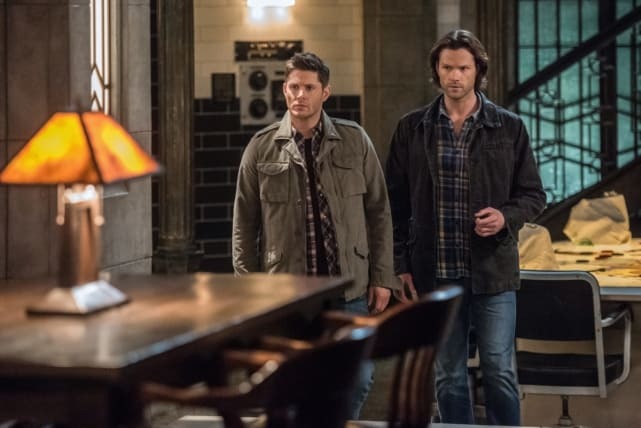 Let’s hope Sam and Dean working with the British Men of Letters doesn’t backfire on them here! The Winchester brothers recently fought a werewolf, but what might their next case be. They look relaxed but ready to go at a moment’s notice. Mick’s dropped by the bunker with a new case. 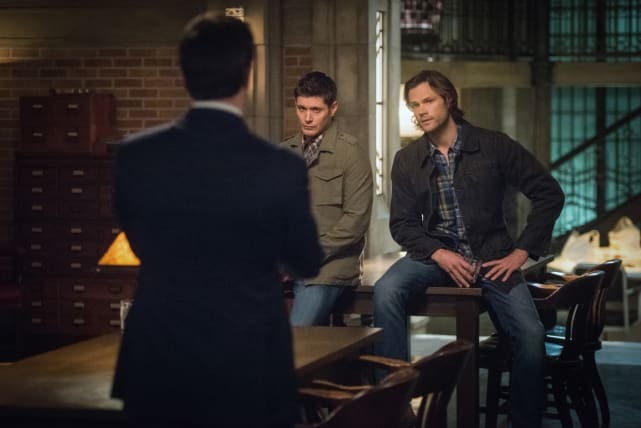 Sam and Dean are listening, but should they trust him after their last mission with him? 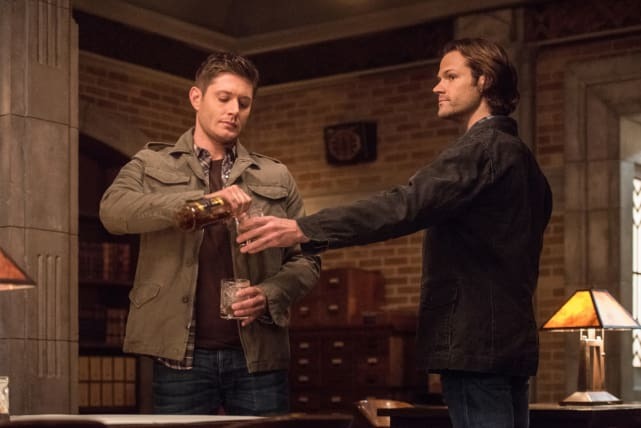 Sam and Dean each pour a drink for themselves while listening to Mick. It doesn’t hurt to at least hear him out. The British Men of Letters member looks pretty comfortable in the bunker. 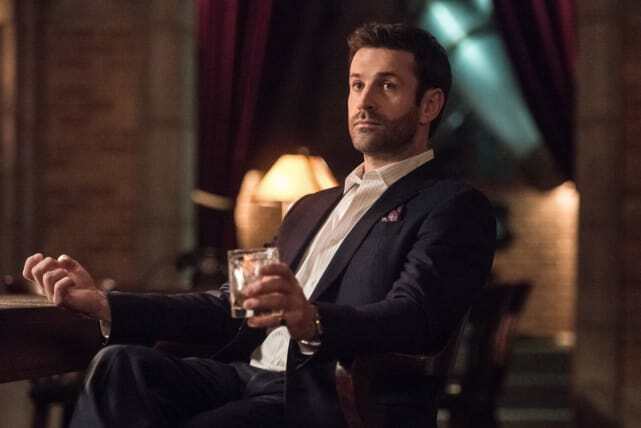 Did his case with Claire and the werewolf change his mind on his mission for the British group? 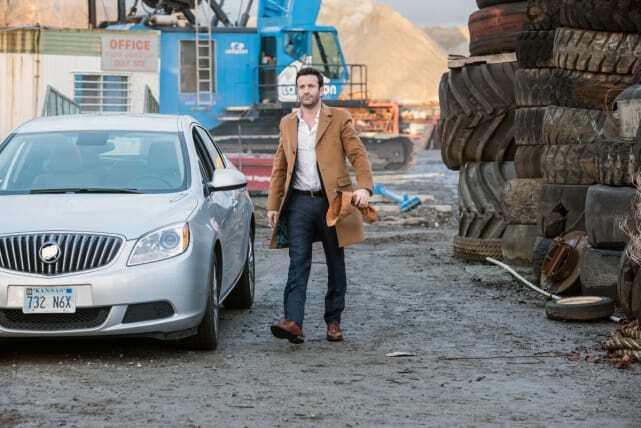 It seems odd that Mick would be hanging out in a junkyard. Is here there for a meet? And what’s he holding? Some new weapon? Is that the Colt that Mick is holding? And is he just giving it to Sam? Be careful, Sam!